There are many manufacturers of Quartz out in the global market, and a great selection available here in the local Edmonton market. Quartz is an excellent choice for durable, modern, and luxury countertops. Today we will talk about the three different manufacturers of quartz carried at K&J’s Custom Granite. Touted as the first company to see potential in quartz, Caesarstone hails from the Israeli coastal plain near the ancient city of Caesarea, an area rich in old-world stone architecture. From 1987 onwards, they claim to have perfected their trademark production techniques to create stunning quartz surfaces. Shipping to over 40 countries worldwide, they are definitely one of the manufacturers to keep in mind when looking through the collections available. Caesarstone states they are constantly increasing their production capacity and therefore they have the opportunity to innovate through their use of cutting edge technology and their decades old talent; creating brand new and unique collections available worldwide, and therefore available for you to use in your home, office, restaurant, or any other design. Caesarstone, of course, comes in a wide variety of textures or colors to choose from. Our second contender is Silestone, another world leader in quartz surfaces. Abundant information is available for this manufacturer, which in this market of informed consumers, is appreciated. Features included by Silestone on their entire product line lend credence to their quality in manufacturing. Stain resistance, due to non-porous surfaces, prevents spills from coffee, wine, lemon juice; even oil and vinegar are among the liquids Silestone can defend against. Acid and scratch resistance is important when you are using the quartz surface as a cutting board (although this will damage your knives! ), and Silestone claims a high resistance for both. Cutting through lemons and limes on the surface will have little if any effect on the surface. Silestone claims a high impact-resistance as well, compared to the industry standard. Slam a pot down on the counter or drop your cutting board and you will not have to worry about damaging the Silestone quartz surface. This is of course achieved by the magic of science in the production of Silestone collections using their “vibrocompression” system and a polyester resin for its elasticity. Silestone has a specific antibacterial technology they call Bacteriostatic Protection. The only brand that carries their specific formula developed by a company called Cosentino by using silver ion technology to prevent the propagation of bacteria left over by food particles. Like all manufacturers of quartz, Silestone’s quartz has a wide range textures and over 60 colors to choose from. To give customers a solid sense of quality and trust that the company has in their own product, Silestone provides a 25-year transferable warranty for Silestone quartz products. Transferability is important because it means you can sell your home or office knowing that the value of the warranty is being carried over to the new owner. Our third and final entry is Hanstone, with the quartz made by Hanwha Surfaces, an American subsidiary of a South Korean conglomerate who deals in a wide range of industries including plastics, telecom, biotechnology, even finance and of course building materials, which sounds fairly wide-ranging and technical. Hanstone states they are dedicated to manufacturing a luxury quartz product and make colors range from natural to specifically designed in order to meet the needs of homeowners, architects, and interior designers. Hanstone claims they have a commitment to using the most advanced, environmentally responsible manufacturing process. So for those of you who are environmentally conscious – which is definitely not just a trend but a real global shift in the respect we have for our planet – would be good to look at this company’s products. Hanstone has over 60 color (pattern) options and claim to have the most natural-appearing finish of any manufacturer. No conditioning or polishing is required with Hanstone, and they do state it is heat, stain and bacterial resistant As far as warranty is concerned, Hanstone provides a 10 year limited commercial warranty, and a lifetime residential limited warranty, which is significant. At the time of this article’s publishing it is unknown if Hanstone allows transfer of the warranty, but it would be expected for residential. 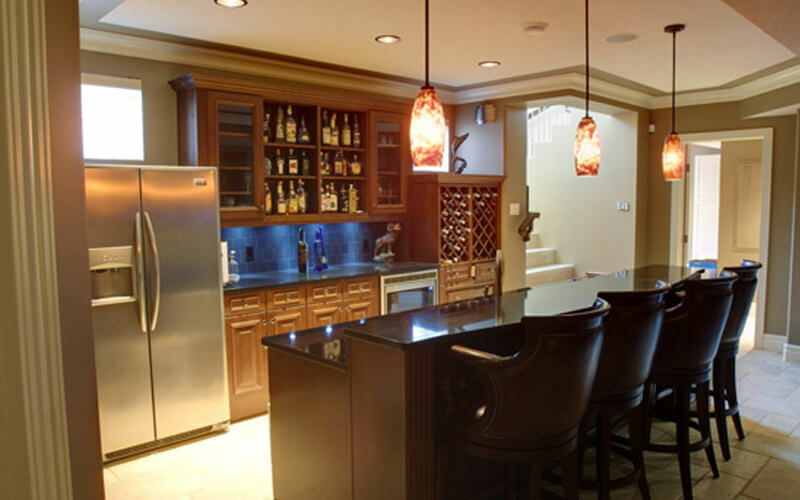 Hopefully this has provided you with an idea of the different manufacturers and options available when choosing quartz as your surface of choice at K&J’s Custom Granite, and has helped you make an informed decision about quartz countertops.